The Tampa Bay Buccaneers have endured some of the worst seasons in NFL history. While the team struggled mightily for the majority of its early years, the Bucs were able to reach the top of the mountain in the new century. 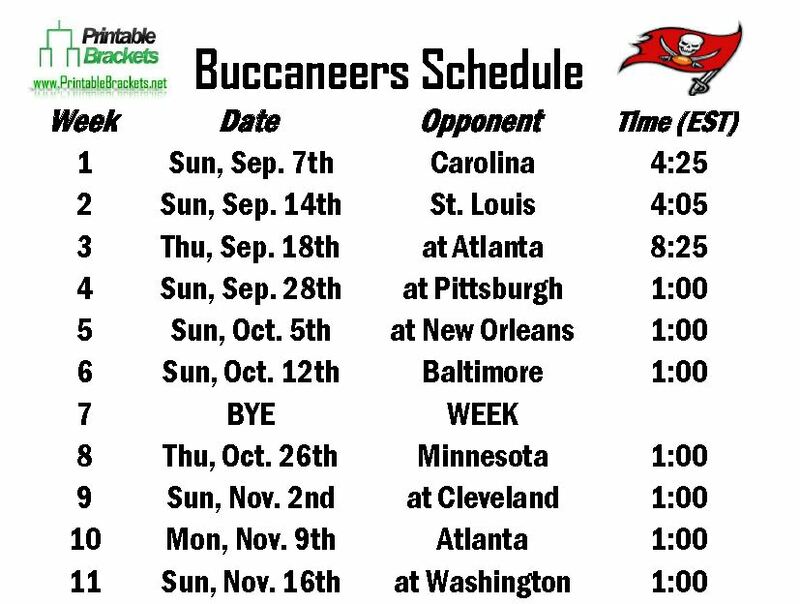 Let’s take a look at the team’s history before looking at the upcoming Buccaneers schedule. The Buccaneers broke into the NFL in 1976. Under head coach John McKay and with quarterback Steve Spurrier, the Buccaneers went 0-14 in their first season. Tampa Bay was moved to the NFC Central in 1977, but the second season started much like the first. The Bucs lost their first 12 games before finally beating the New Orleans Saints for their first victory in franchise history. Tampa Bay closed the season on a two-game winning streak. Throughout the 80s and 90s, the Buccaneers were largely considered to be the worst team in the NFL. Beginning in 1983, the Bucs endured an NFL-record 13 straight seasons with at least 10 losses from 1983-96. After the death of former owner Hugh Culverhouse, the course of the franchise changed dramatically after it was purchased by Malcolm Glazer in 1995 for $192-million. Tony Dungy took over as head coach in 1996. The following year, the Bucs earned their first winning season and playoff appearance since 1982. Dungy was dismissed after the 2001 season after the Bucs were blown out by the Philadelphia Eagles in the playoffs. The Bucs eventually sent four draft picks and cash to the Oakland Raiders in order to get head coach Jon Gruden out of his contract. In the first season under Gruden, the Bucs went 12-4 and clobbered the Raiders, 48-21, in Super Bowl XXXVII. Entering 2014, the Bucs have six division titles, one NFC title and the lone Super Bowl victory. The Bucs are 6-9 all-time in playoff games.